We have a passion for sharing Therapeutic Yoga. The TheraYoga Method blends Restorative Practice and mindfulness, with a focus on back health and special conditions. No one’s body is the same. Neither is your practice. 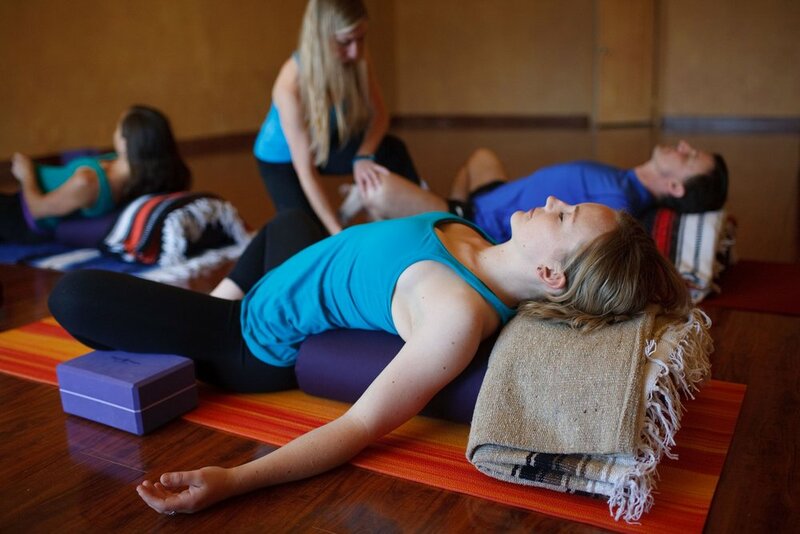 “The Relaxation Revolution” was born from this method of teaching to bring more restorative yoga to all. We hold several Teacher Training’s and Workshops a year on these topics, so that teachers and students can deepen their practice and widen compassion. Find a joyful practice with an emphasis on the mind and body connection. Samantha has been practicing and teaching yoga since 1999. She has an extensive background in structural anatomy and is a certified Massage Therapist, as well as a certified Hatha, Kundalini, and Kids yoga teacher.